Give a gift certificate for a holiday, birthday or another important occasion, or simply pre-order a package online. If you would like more details on all the services we offer, please click here for our services page. However, if are ready to place an order, feel free to call us during business hours or to place your order online. An instant certificate which will be emailed to you within minutes. Professional life interviews preserve a voice and capture meaningful stories that will bring loved-ones together and inspire future generations. Gift certificates are a wonderful way to record a family member’s story, offering a meaningful alternative to buying “stuff.” Ideally, interviews are conducted in person but may also be done by phone. We reach out to schedule a time and understand goals for the interview, then we email food-for-thought questions. During the interview we record the audio and handle all the technology, saving files for you. Single interviews provide approximately 75 minutes of audio, capturing poignant highlights. 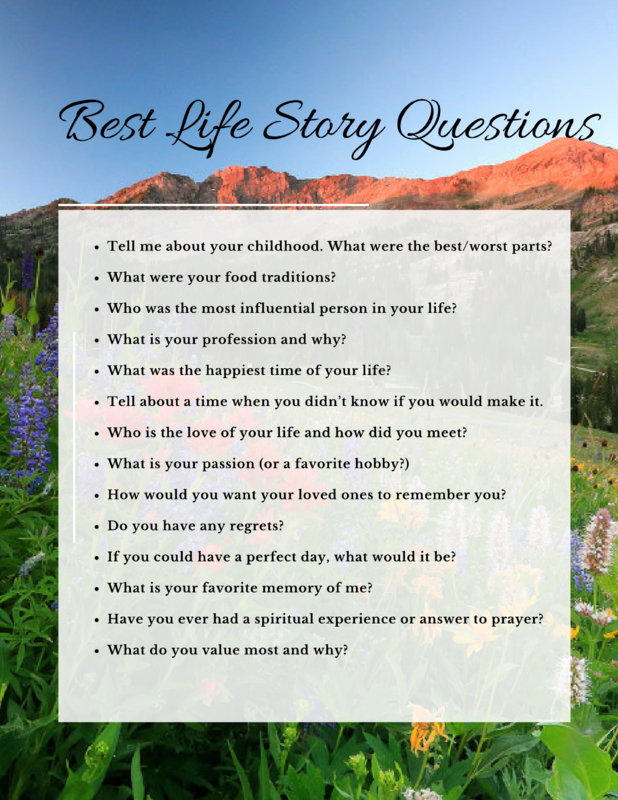 If your goal is a more complete life story, consider choosing a package of multiple interviews for a discounted rate. If you have the spark to write your story, but would like to collaborate on getting organized, storyboarding your tale, or handling technology, we love coaching clients. We will give you our best tools of the trade and let you pick our brain, packaged with a boost of encouragement.Choose one, or save on a bigger project by purchasing a package. Want to discuss your project? Click call or fill out our form.